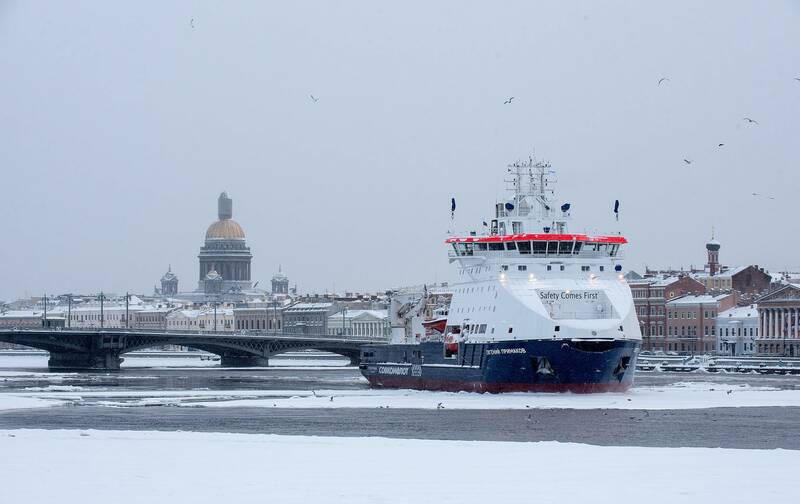 A ceremony raising the flag of the Russian Federation and naming a new multifunctional icebreaking platform supply vessel, Yevgeny Primakov, took place on February 3, 2018 in Saint Petersburg. The vessel was built by Arctech Helsinki Shipyard, a subsidiary of the United Shipbuilding Corporation; technical supervision was carried out by the Russian Maritime Register of Shipping (RS), which assigned the vessel a high ice class – Icebreaker6. 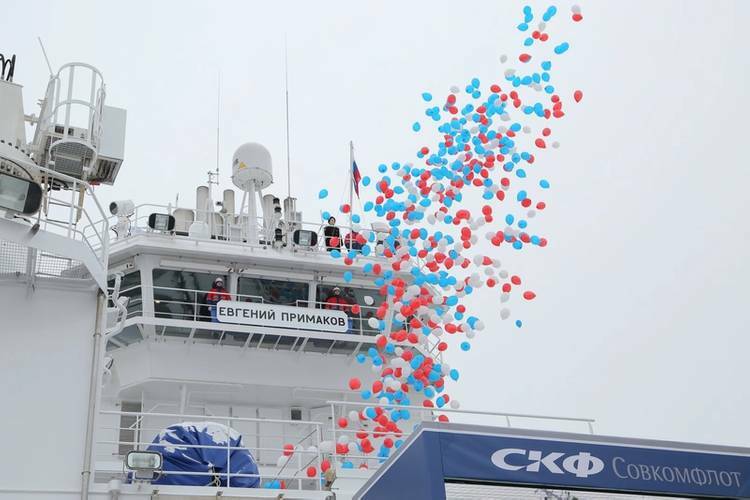 Yevgeny Primakov’s design and construction reflects many years of experience accumulated by Sovcomflot (SCF Group) while working in the Sakhalin-1 and Sakhalin-2 projects, the company said, adding that the new vessel is one of the best in her class in terms of technical characteristics. The vessel is designed for operations in the difficult ice and navigational conditions of the Far East Sea Basin (Sea of Okhotsk). Its design and equipment mean she can effectively ensure the safe operation of offshore oil and gas production platforms, including in ice conditions, through preventing the formation of hummocks and heavy ice fields around the platforms, by breaking any surrounding ice formations, etc. The vessel will also provide year-round standby search and rescue support and is able to respond promptly to potential emergencies, and carry out underwater engineering and repair works where necessary. The vessel’s propulsion system (comprised of two Azipod units with a total capacity of 13 MW) ensures high levels of maneuverability, and allows her to sail through ice up to 1.5 m thick with a snow cover of up to 20 cm. 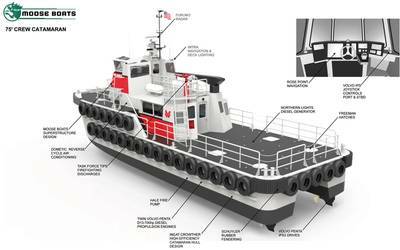 She also has a large passenger capacity, despite relatively small dimensions. Yevgeny Primakov can normally provide sleeping accommodation for 70 persons (besides her crew), and in the event of an emergency can accommodate up to 150 people. 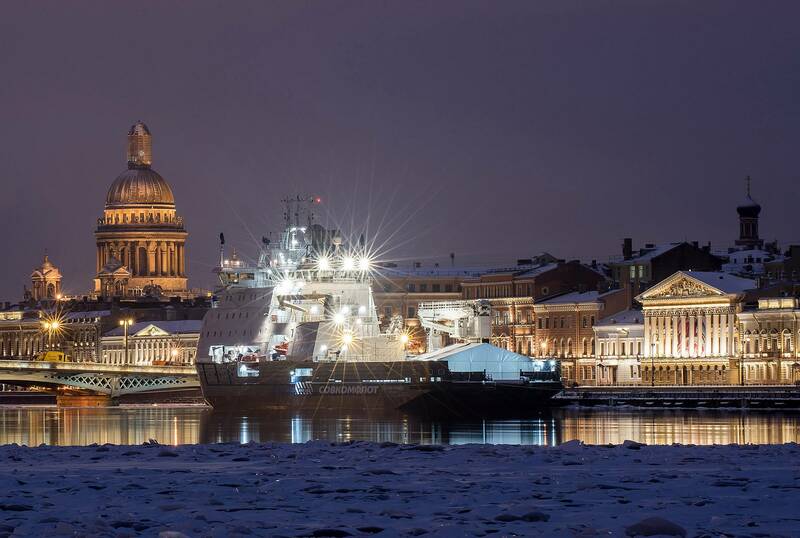 Yevgeny Primakov sails under the Russian flag and has Saint Petersburg as her home port. She is manned by an all-Russian crew of 26 people. 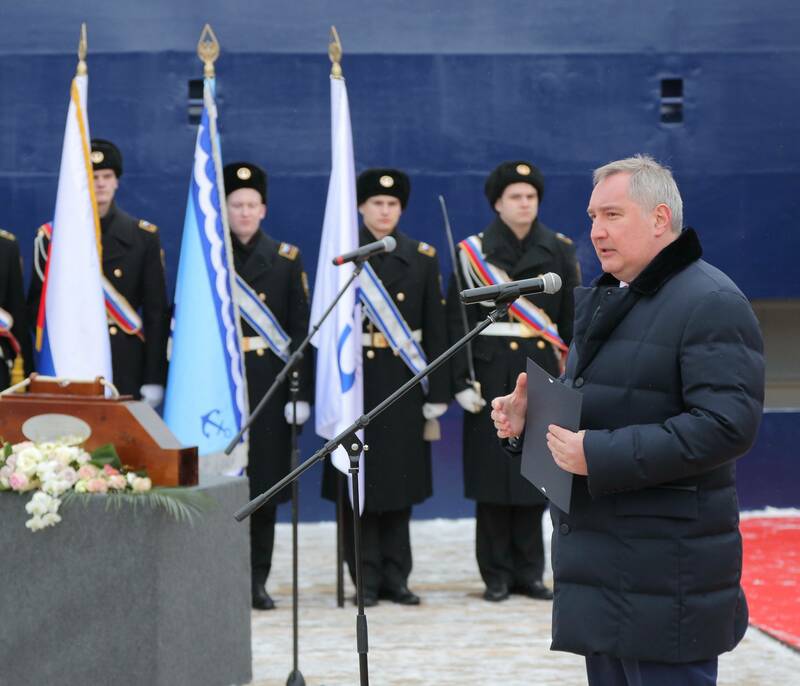 The naming ceremony was attended by Dmitry Rogozin, Deputy Prime Minister of Russia; Sergey Movchan, Vice-Governor of Saint Petersburg; Viktor Olersky, Deputy Minister of Transport and Head of the Federal Agency for Marine and River Transport; Ole Myklestad, Production Director at Sakhalin Energy; Alexey Rakhmanov, President of the United Shipbuilding Corporation; Sergey Frank, President and CEO of Sovcomflot. 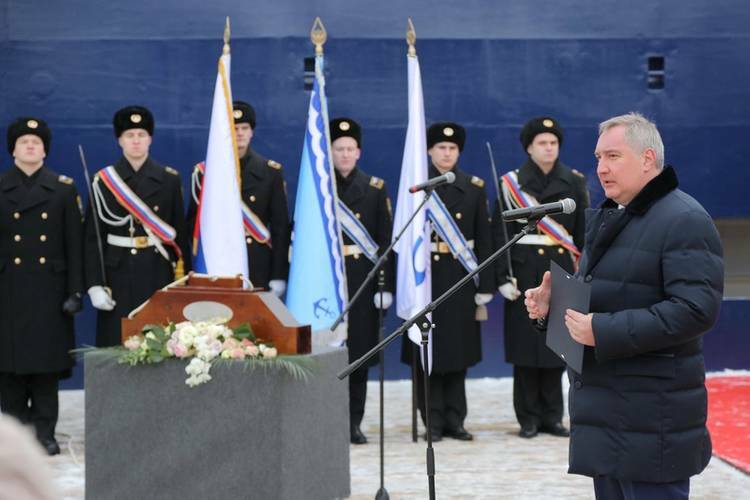 Family members of Yevgeny Primakov attended the ceremony as guests of honor. 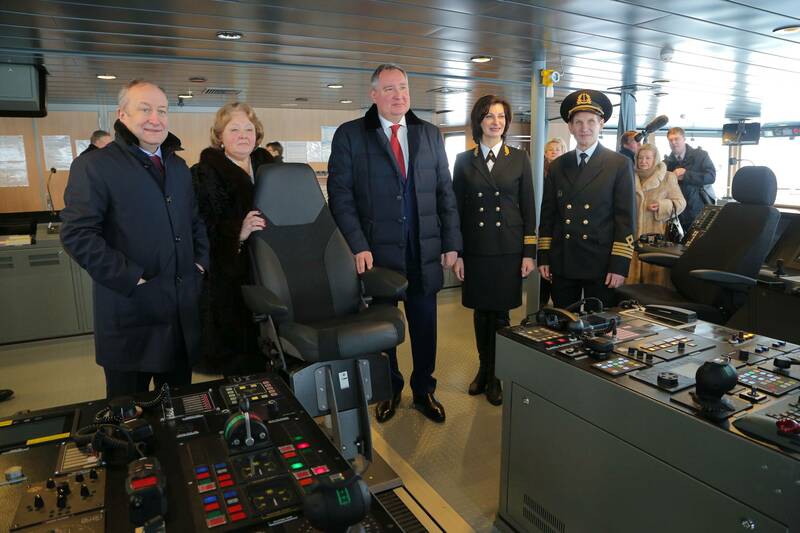 A group of cadets from the Admiral Makarov State University of Maritime and Inland Shipping, who were selected for Sovcomflot’s training program and will work on SCF vessels in the future, also took part in the ceremony. Dmitry Medvedev, Prime Minister of the Russian Federation, sent a welcoming telegram to the ceremony participants. 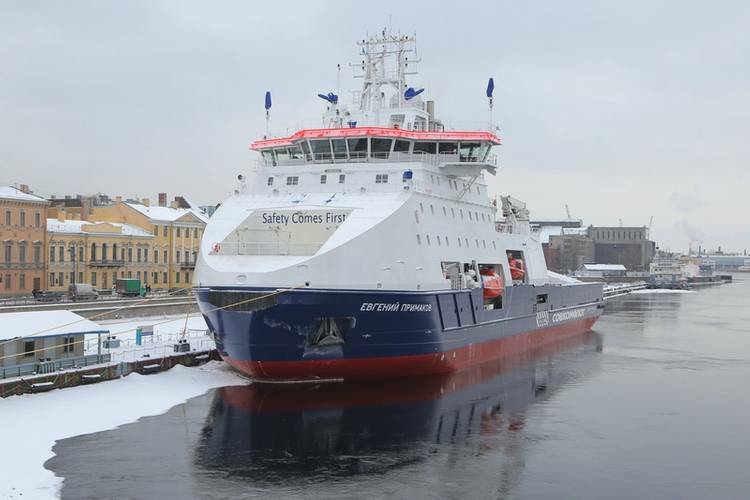 “Today, Sovcomflot’s new icebreaking vessel is getting a name. And it is symbolic that this will be the name of Yevgeny Primakov, a well-known statesman, politician, scientist, and diplomat. It will be the best memory of an outstanding person who always defended the national interests of our country and did a lot for Russia. 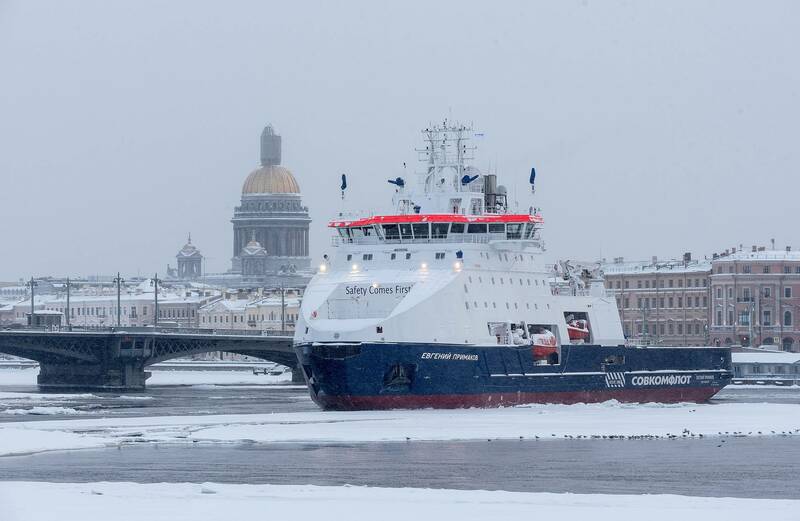 The latest high-tech icebreaking vessel, Yevgeny Primakov, is one of the most advanced in her class. The execution of such a project became possible thanks to the efficient cooperation between Russian shipbuilders, shipping companies, international cooperation, and interaction between shipwrights and seafarers. 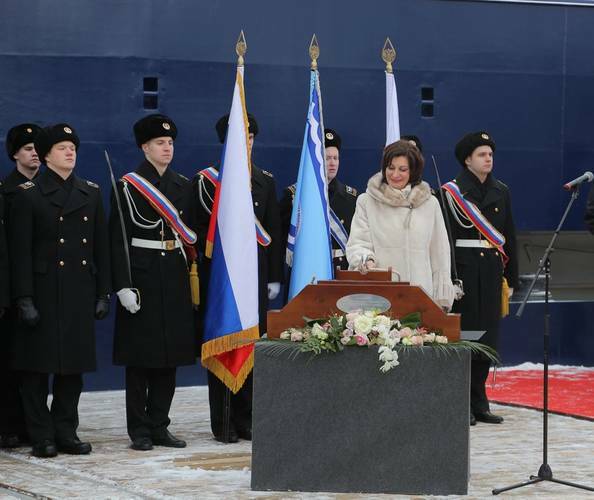 I would like to thank Sovcomflot, the United Shipbuilding Corporation and all those who invested their efforts and talents in creating this vessel. I wish you good luck, success, great achievements, and calm seas,” the telegram says.